Includes spark screen, free all weather cover and fire pit tool so you have all you need for the perfect outdoor fire. 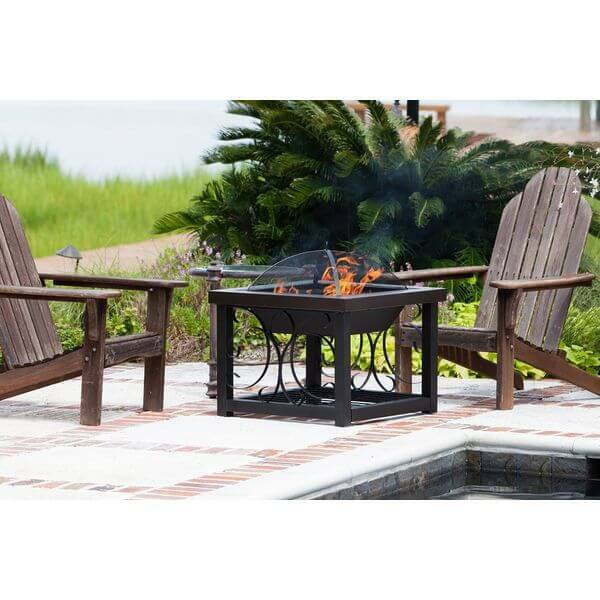 Fire pit is made from steel and finished with oil rubbed bronze high temperature paint for long-lasting durability, functionality and quality. 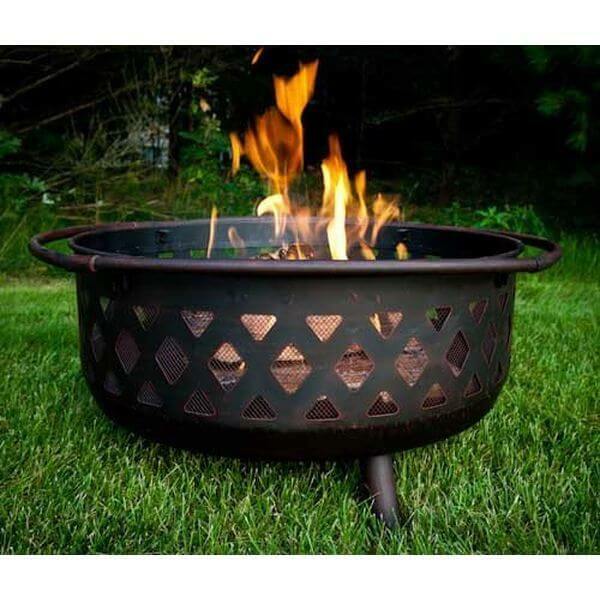 The Sunnydaze Large Bronze Crossweave Fire Pit is a wide, bronze fire bowl that comes with an ornate crossweave patterning. This offers a view of the fire no matter where you or your guests are sitting. It is made from steel and has been finished with high temperature oil rubbed bronze. Measuring 38 inches by 28 inches, this AZ Patio Heaters Propane Fire Pit, Antique Bronze Finish, can operate on both butane and propane. It offers up to 40,000 BTUs of heat in order to warm up a space of any size. It starts up using a battery operated pulse ignition. 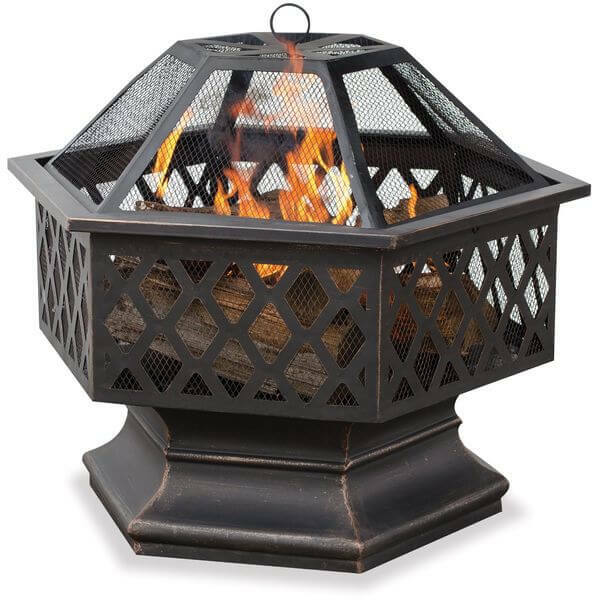 The Hex Shaped Outdoor Fire Bowl with Lattice, Oil Rubbed Bronze is a geometrically shaped wood burning fire bowl. It has a lattice design around its sides to provide a 360-degree view no matter where you sit. Its deep bowl design allows for fires that can burn all night. Geometric and modern, the Landmann Barrone Fire Pit with Cover, Antique Bronze, is a decorative and practical fire pit. It comes with a cover that helps to keep the sparks out and features a stylish crosshatch design. This design ensures that the fire is visible from any angle. 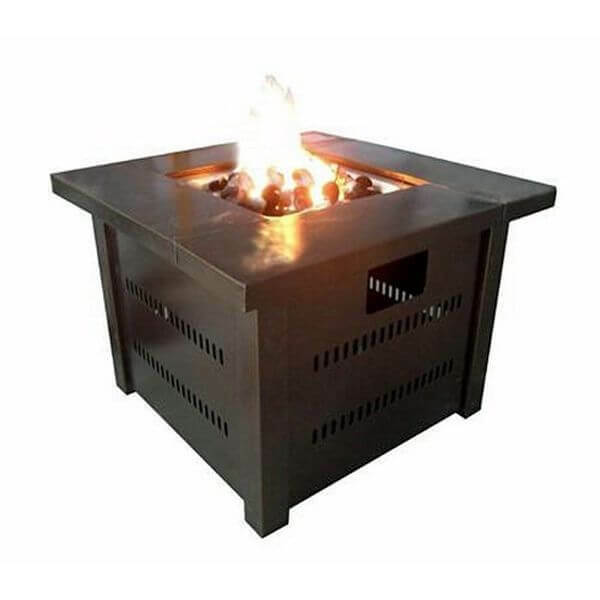 The Fire Sense Cocktail Table Fire Pit, Bronze Finish, is a square steel fire pit. 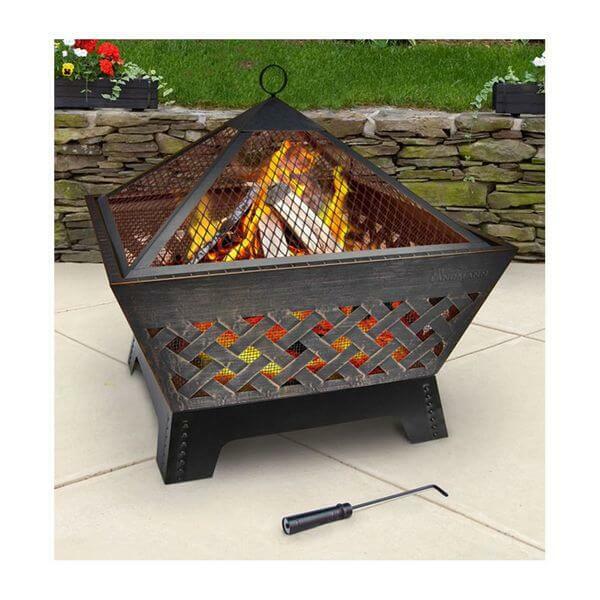 This fire pit has been given a durable hammer tone bronze finish for style and durability. It has a domed, high-temperature-finish fire cover screen that stops the sparks from flying out. 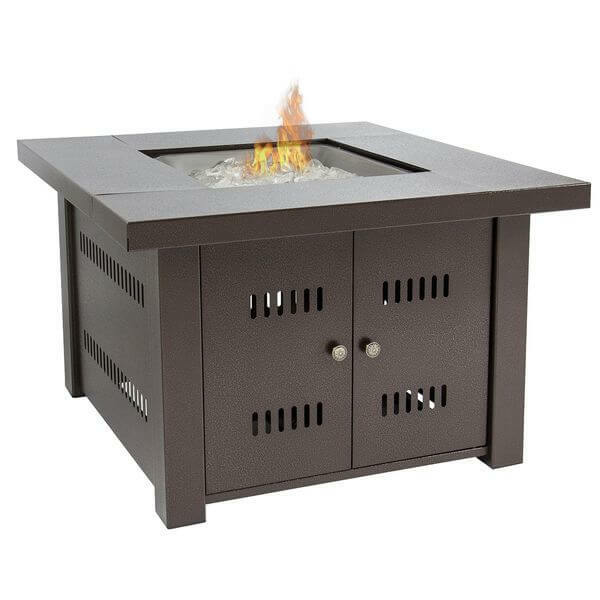 The Gas Outdoor Fire Pit Table with Hammered-Antique-Bronze Finish is a simple to operate fire pit. Accessing the propane is as simple as opening the doors. It has been ANSI and CSA approved. Perfect for outdoor use, it comes with a cover that helps keep it safe when not in use.